See what customers are saying about the quality of work provided by The WriteOne Creative Services, nominated as Top 4 (out of 64) Businesses in AOL Patch, Westchase ““Best Customer Service in Westchase” 2012. I was thrilled with the design Deb produced, as well as her fabulous customer service. She responded very quickly and went above and beyond to make sure I was happy with my design. Deb was fast, efficient and easy to work with. She provided creative options. I’ve already hired her again and will likely do so again in the future. We hired The WriteOne to do our social networking and some website updates. Deb has been a pleasure to work with. She is alert to all communication and in a timely manner. She is multi-talented – more than just doing social networking and writing. She also does graphics. Great services, especially for Small Business entrepreneurs. Thank you Deb! Deb Kelley is one of the most creative designers I have met. She is so easy to talk to and truly listens to what the client wants. Creative! Cleaver! Competent! Deb does really great work! She was able to finish a capability statement in a few days when another marketing company had a month and did nothing with it. She was very quick to respond to our requests. We plan to use her services frequently. I commissioned a logo design, and the result was fantastic. Even better than I imagined it could have been. Deb has a way of taking your idea and amping it up, creating something that represents exactly what you envisioned, but better. If you don’t have a solid idea, but a vague notion, she will help you flesh it out to land on what is right for you. She’s fast, too and asking for a revision or adjustment is no problem at all. I’ve also seen a great deal of her website, promotional work and copywriting, and again, she has a terrific eye for visually representing ideas. I would highly recommend to anyone needing graphics design work, small or large scale, she can make it happen for you, and will make certain that you are completely satisfied. I’m very happy with her work, and would absolutely use again. Our amazing logo for the Taste of East Tampa 2016 was created by Tampa Bay’s award-winning and affordable graphic artists, Deb Kelley of The WriteOne Creative Services! Deb brought to life Richedean Hills-Ackbar’s vision for the logo. She can do the same for anyone- so PLEASE refer her if you know anyone looking for graphic and website design, press releases, and photography! The additions you have made to the Carpenter’s Center website are simply amazing. Because of the face to face time and online assistance that you awarded our staff we now have the confidence to open our doors soon. We really appreciated the feedback on some of our quirky creative ideas. The logo that you created within about 5 minutes of our first meeting represents the vision we were hoping to portray to our online community. Thank you for making the process of creating an excellent online presence an informative and fun experience. Deb Kelley is a true professional. The work she did for my company was on point, and timely. We are very pleased to have found someone who takes the time to work one on one with her clients. We are very please with the quality of her work. I’ll be recommending her. I love Deb at The WriteOne Creative Services. She really listens to what I want and creates great work. She is quick and affordable. I recommend her highly. I was always very impressed with the level of expertise, commitment, professionalism and time you gave to us while we were building our new website. My personal and professional experience with Deb Kelley of The Write One CS is in one – outstanding! Deb is very talented and I couldn’t be more pleased with the work she has done for me. I’m a realtor and she helped with my marketing flyers. Everything looked very professional and am very happy to have found her. The attention to detail and desire to exceed the expectations of her clients truly sets Deb apart in her field. Her web development knowledge and professionalism are unmatched and her mentoring skills are superb. I have had the pleasure of working with her on two engagements in 2014 and I would strongly recommend her to anyone looking to build or improve their website, manage their website and/or market their company. Deb made a beautiful and extremely functional website for Sacred Grounds Coffee House! She captured the color of business card to match the site, included all the pertinent pages. We are extremely happy with our new site!! Thank you Deb!! Helllo, My name is Cecilia Nieves and I am the founder and president on AnimalLuvr’s Dream Rescue, Inc. We are a 501c3 non profit organization that helps critically ill, injured and abused homeless pets in the Tampa Bay area. We have had the pleasure of meeting Deb Kelley “The WriteOne Creative Services” through her mother who is one of our amazing foster homes. Deb has, from the very beginning, been professional, courteous and amazing at what she does! Deb helped our website (www.animalluvrs.org) get a complete make over and we love it!!! It now has a lot more color, much more high tech, user friendly and overall amazing! To anyone who is looking to create or update their website – you must check out The WriteOne Creative Services! You will not be disappointed! Deb did a fantastic job with my DJ website! She made it look professional and her punctuality fit her professional attitude. She knew what my website needed and made it all happen with ease. I highly recommend her services for your next web-building project. I have had the pleasure of working with Deb Kelley “The WriteOne Creative Services” on a few occasions. Her work ethic is beyond reproach. She is reliable and always follows through on her commitments. She has a standard for excellence and goes the extra mile to complete commitments on time. This has earned her the respect of friends and business associates alike. Her dedication and skill as a businesswoman has caused her company to grow and compete in her industry. She has years of training in in graphic design, with a special emphasis in working on websites. I proudly recommend Deb Kelley and I am confident that her efforts will prove beneficial to anyone that chooses to do business with her as well. Deb Kelley is an amazing and talented designer. Her passion for her work shows in whatever she produces. We are so grateful to have met this talented artist, creator and trustworthy professional. Deb’s ability to bring a vision into fruition is beyond comparison. I would recommend her to anyone looking for that special spark, a creative edge and dependability. She is a gem in the marketing industry. Deb is the consummate professional. She takes your input and consistently gives you high quality graphics and layout in line with your original vision–all in a timely fashion! Our New Seeds Festival program booklet demonstrates her amazing talents. I would recommend her work to anyone looking for fast, fantastic graphic work. I just wanted to say a big thank you to Deb for designing our 1st grade yearbook page! She was great to work with and the yearbook page is amazing! All around great communication and completed it in record time. Our class will be using her again next year! Thank you so much! It was such a pleasure working with Deborah Kelley! Her patience and professionalism throughout the process was absolutely Amazing! I look forward to working with her again and will be sure to refer others to her as well. I just wanted to tell you what an absolutely awesome job that was done on the poster for our recent fundraiser promotion. The poster was professionally made with a flair of creativity and very little input from our group. Just as amazing is that it was delivered to us in a matter of a few hours. We will recommend your services to whomever we can. I wanted to tell you that you have made working on this project so easy! I have worked with many graphic designers (print and web) before and I don’t think I’ve ever had an experience that was so easy. As you know I’m a busy mom with a full time job trying to start her own business. I am all about convenience! It was not only easy and convenient but you truly nailed my concept. I can’t thank you enough. Deb, you are a Rock Star! I love it! The (tee shirt) design is seriously my favorite that I have ever seen for a CWP production! I can’t wait to have one! Still laughing every time I look at it! I swear it is my favorite design ever! I want to hang it on my wall! You are a Rock Star! I know I keep saying it, but I mean it! I love this! I just want to keep looking at the design and giggling! That is an awesome shirt. One of the best I’ve seen for any show at the theatre. Thanks for your help. You’ve been great. Deb Kelley of The WriteOne Creative Services has been fantastic to work with! Great customer service! Deb, with the Write One Creative Services, is always my first choice. Any web design, logo work, branding changes, editing, she’s the first call I make! Deb Kelley / The WriteOne Creative Services is excellent to work with. Made my website exciting, always available for updates. Great experience and a true creative service. Go give them a call. Thanks again. Deb Kelley always get it right! Great service and design work. The Write One Creative Services did a website and designed a logo for me. She also did some graphic design work for the school dance for my daughters. I was impressed at the level of professionalism and creativity. The price was better than I have found anywhere. I highly recommend her services! I could not be more pleased with the work that Deb Kelley from WriteOne Creative Services did for my business website. 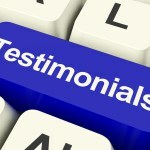 She listened to what we wanted and provided helpful professional recommendations and tips that I greatly appreciated. I get tons of compliments on my website and I definitely plan to work with her in the future. Deb is a person who listens to your vision and works hard to see it to fruition. I am a fashion writer and she helped me come up with a professional and stylish way to present my writing clips to potential employers. Her manner is agreeable and her prices are unbeatable for the level of quality received! Deb at The Write One is excellent! I gave her my vision for what I needed and she went with it. She worked in a timely fashion and created quality products. The WriteOne is definitely the “Write” place to go! I would recommend her services for any graphics work. Not only is she talented but she is more than flexible. Unsurprisingly, I messed up a few things and she was able to fix them quickly for me without hassle. She even helped me along in other areas that she didn’t have too. Her professionalism was amazing as well. But yet she was still relaxed and easy to work with. The WriteOne is a company that doesn’t just simply seek to do a cookie cutter job. She advised me in the areas that I thought I had perfect and led me in the right direction. I am completely satisfied with each and every product from my business cards, to my splash page, to my letterhead and logo. She is affordable but yet doesn’t charge so low that you get nervous… She is currently working on some other products for me and I can’t wait to see them. I give Deb and The Write one 2 thumbs up and an ice cream sundae!!! Deb Kelley, of Write One Creative Services, pulled out all the stops when we came to her seeking graphic arts services for Florida’s first TEDxYouth event. Deb instantly and brilliantly captured the spirit and intent of TEDxYouth@TampaBay , and her event posters and programs were eye-catching and exciting – just like the event itself. You listened to our requests, met our requirements, tweaked as needed, and delivered great quality, on time, and as promised. Thank you, Deb, for helping make TEDxYouth@TampaBay look as good on paper and on the web, as it did on stage and in person. You’ll be our go-to graphic artist for TEDxYouth@TampaBay 2011 and beyond! Deb is a professional in every way. That says a lot. Her design work is impressive and she goes “the extra mile” to give top notch service. Thanks, Deb. Deborah Kelley, founder of the Write One Creative Services, is exactly that. The Right one.Working with Kelley during the last year has taught me to dream big. She passionately has proven that she can take one small idea and produce monumental results that I never dreamed were possible for my business ventures. She went above and beyond, every moment of the day and she is always a phone call away. Responsive and talented, she provides well-rounded services and is a one-stop shop. Professionally: My business couldn’t thrive without having met Deb. Personally: She puts the passion into every thing she does and provides support that has made her a very dear friend. I have confidence in my work because I have Deb Kelley backing me up every step of the way. I assure you, working with Deb will be a very rewarding experience and has been the best gift I could ever have given my business and my dreams. Working with Deb was a great experience! I had written my own bios prior to working with her, however she asked me questions that I would not have even thought of asking myself which completely enhanced the work. She really allows the reader to see you and that’s what you want. Thanks! I would highly recommend Deb Kelley for any website design work or online marketing support work. She is so creative and I love her web design, as well as the design for my professional video/DVD. Check it out at www.vickiesaquachallenge.com. I found Deb to be fast and efficient with a flair for the unusual, which is what I wanted. She has really made me and my business look good! She stays on top of everything and delivers exactly what you want! Her professionalism and efficiency really impressed me. She will be doing any future work I may have to be done, because I can count on her. Colleen Buccieri, President of Face Autism, Inc. I had the WriteOne CS do two magnetic signs for a vehicle with my business name on them and what a great job Deb did… I have to say I was a little worried at first because I’ve never had anything designed before, but the design she did was awesome and I will definitely recommend her and the Write One CS to anyone that needs design work done!! Thanks a lot the WriteOne CS– for the great job!! THANK YOU DEB!!! Within a matter of days, if not hours, you had us up and running online enabling our non-profit organization to raise funds for our endevour. The website for the custom car/bike show is incredible. You do great work! The custom service is second to none and it seems that you are able to fulfill all of our requests without any problem at all. www.operation-sos.us will be a great success thanks the you. I must also thank you for the help with past events like the Christmas Party for children of soldiers that could not make it back for the holidays and the Hold-Em Tournament for our troops. We could not have done it without you, Deb. You are the best!!! And just think, you did all of this work for our NPO at no charge whatsoever. What an awesome lady you are, truly a kind soul. “I was just wanting to let you know how much I appreciate you helping me out in the situation that I had. It means a great deal to me that you worked as hard as you did to make sure that I have all of the different types of options available to have the stickers made for my truck. I took my truck to the Susan G. Komen walk in Dallas on the 20th of October. I got a ton of compliments on it [truck window sticker] and this truck has become quiet the talk of the subject amongst my friends and my family! You have been a pleasure to work with and you have been right on time with everything you’ve done for me! Owner and Managing Director, S.A.F.E. Society of Florida, Inc.
Executive Director, Tampa Bay Kids, Inc. The attention to detail and desire to exceed the expectations of her clients truly sets Deb apart in her field. Her web development knowledge and professionalism are unmatched and her mentoring skills are superb. I have had the pleasure of working with her on two engagements and I would strongly recommend her to anyone looking to build or improve their website, manage their website and/or market their company.